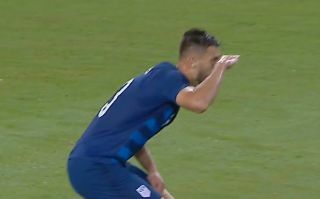 Chelsea need to recall Matt Miazga immediately after this brilliant incident involving the defender in last night’s clash between USA and Mexico. The 23-year-old defender has only ever played two games for the Blues before heading out on loan to – where else – Vitesse for two seasons, and then Nantes. Still, his shithousery levels are clearly elite as he mocked opponent Diego Lainez over his height as the pair had a coming together in yesterday’s game. In all seriousness, Miazga then looked a bit of an idiot as he immediately turned to the referee once a taller player came along and challenged him.